The theme of prejudice is an undercurrent in The Laramie Project. In this play, the town deals with varying levels of prejudice. Some of the characters represent the extremes, such as the Reverend Fred Phelps, who believes so deeply that homosexuality is wrong that he preaches that God Himself has hate. Other characters are less stridently prejudiced, such as the parents of Jedadiah Schultz, who refused to go to Jedadiah's scholarship audition because their son was acting out a scene that involves homosexuality. They missed the opportunity to share in their son's important moment, but their prejudice, at least in this one act, caused no physical harm to their son. Whether Matthew Shepard's accused murderers were prejudiced against homosexuals or just used that as an attempt to excuse their actions is not clear. In other words, the question remains, did they beat Matthew so severely because they did not like homosexuals or would they have done the same to any other student they might have robbed that night? Marge Murray talks briefly about a prejudice that is possibly based on a combination of class, education, and economics. There are those without an education who work minimum-wage jobs and those who work at the university, she says, splitting the town into two different groups. She insinuates that one part of the population looks down on the other, which is where prejudice begins. After the murder of Matthew Shepard, some members of the gay community in Laramie fear for their lives because they are concerned that other straight people in town might want to do the same to them. Their fears are based not only on the prejudice people might hold against the gay members of town but also on the prejudice that some of the gay community might hold against the townspeople. The fear that someone in the straight community might commit a similar crime is in some ways another form of prejudice. Stereotyping a macho cowboy is as prejudicial as stereotyping a gay person. There is a discussion in one part of the play about why the murder of Matthew Shepard received so much media attention. After all, there was a policeman who was killed during the same period, and no one paid much attention to it. Aaron McKinney's father also makes the statement that if Matthew Shepard had been a heterosexual, not as much would have been made of the crime. So what is the difference? Why was Shepard's murder so heinous? For some reason, a random murder, such as one that might occur during a robbery, seems less sensational, whereas a crime committed out of hate seems more pointed. Is it the attitude behind the crime that arouses so much attention? In the past, legislative attempts to define hate crimes have sparked national debate. Should the definitions include crimes committed against disabled people or people of different nationalities? What about crimes against people of a different sexual orientation? And how does one prove that the crime was a hate crime? There are no conclusions made in this play. The facts are presented, and the interpretation is left to the audience. Was Shepard's death the result of a hate crime? Or was it a random crime with no premeditation or specific hate? The answer is open to debate. Conflict drives a dramatic work, and this play has a lot of it. There is the obvious conflict between those who live a gay lifestyle and those who live a straight lifestyle. There is also the conflict between the various religions and their interpretations of the Bible or their spiritual value systems. There is also the conflict between parents and children, especially in the case of Jedadiah Schultz and his parents, who do not want him associating with anything that has to do with homosexuality. But there are also internal conflicts, such as those expressed by Jedadiah. He wants to believe that his parents and his minister are right. But he senses that something is wrong with their beliefs against homosexuality. So Jedadiah struggles within himself, trying to come to terms with the conflict between the basic values of the adults in his life and his own experiences. In a persuasive essay, it’s the writer’s job to convince the reader to accept a particular point of view or take a specific action. Persuasive essays require good research, awareness of the reader’s biases, and a solid understanding of both sides of the issue. A good persuasive essay demonstrates not only why the writer’s opinion is correct, but also why the opposing view is incorrect. Hate crimes towards LGBTQ: Explore the fact that LGBT people are far more likely than any other minority group in the United States to be victimized by violent hate crime. Was Shepard's death the result of a hate crime? Or was it a random crime with no premeditation or specific hate? 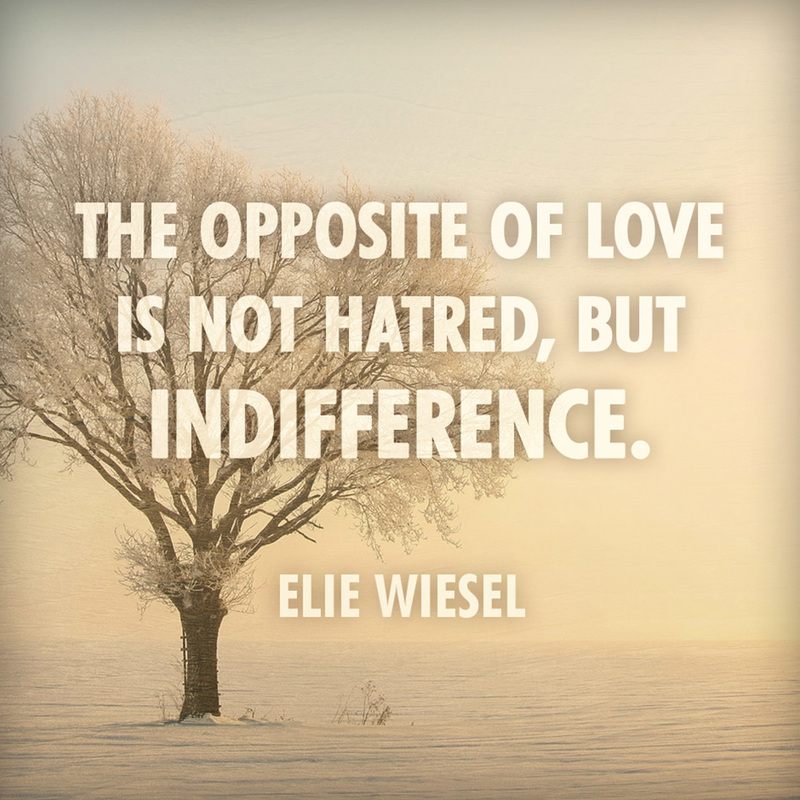 Indifference: In his speech “The Perils of Indifference,” Elie Wiesel addresses the question that underlies any discussion of the world’s response to the atrocities of the Holocaust: “What is indifference?” Essentially, his question raises two separate but equally important issues: What motivates indifference, and what are its consequences? He offers the insight that "indifference can be tempting -- more than that, seductive. It is so much easier to look away from victims. It is so much easier to avoid such rude interruptions to our work, our dreams, our hopes." It seems worthwhile, however, to take heed of the words of wisdom that Wiesel, a Holocaust survivor, might have to offer given his experience. Explore this concept in terms of the indifference our society has towards issue for LGBTQ people -- how is our society indifferent to LGBTQ issues; how was indifference expressed in Laramie? Prejudice: Prejudice can be related to class, education, economics, religion, or sexual preference. When one person rigidly believes in one side of a concept and cannot perceive the other side and, more importantly, will not tolerate others' acceptance of the other side, prejudice rears its head. Discuss prejudice against LGBTQ people. Relate your ideas to the Laramie incident: did the boy's beat Matthew so severely because they did not like homosexuals or would they have done the same to any other student they might have robbed that night? 1. Choose your position. Which side of the issue or problem are you going to write about, and what solution will you offer? Know the purpose of your essay. 2. Analyze your audience. Decide if your audience agrees with you, is neutral, or disagrees with your position. 3. Research your topic. A persuasive essay must provide specific and convincing evidence. Often it is necessary to go beyond your own knowledge and experience. You might need to go to the library or interview people who are experts on your topic. 4. Structure your essay. Figure out what evidence you will include and in what order you will present the evidence. Remember to consider your purpose, your audience, and your topic. • Be well informed about your topic. To add to your knowledge of a topic, read thoroughly about it, using legitimate sources. Take notes. • Test your thesis. Your thesis, i.e., argument, must have two sides. It must be debatable. If you can write down a thesis statement directly opposing your own, you will ensure that your own argument is debatable. • Disprove the opposing argument. Understand the opposite viewpoint of your position and then counter it by providing contrasting evidence or by finding mistakes and inconsistencies in the logic of the opposing argument.